Pinzimonio is served as a starter or as a side dish in Toscana. It is very simple and healthy. It is the perfect dish during the summer as it requires no cooking. 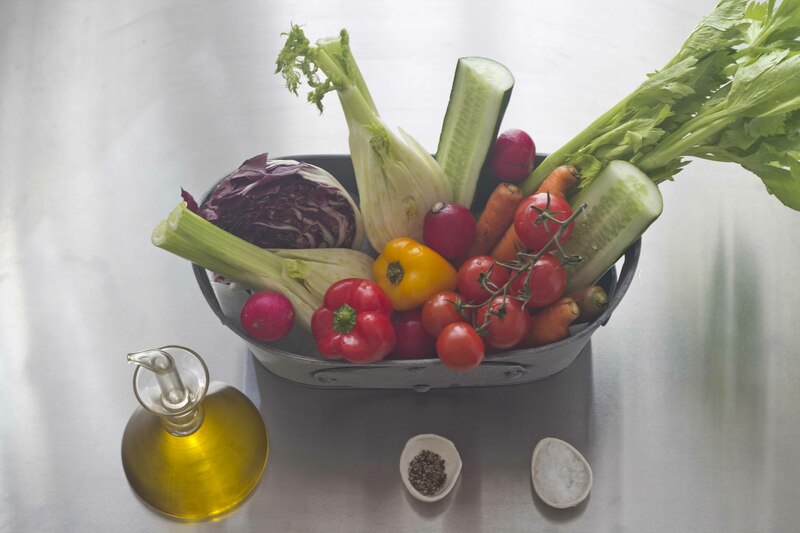 Arrange all the vegetables attractively on a platter. Pour 60 mls of the extra virgin olive oil into each of four small bowls and place at each person’s place setting. 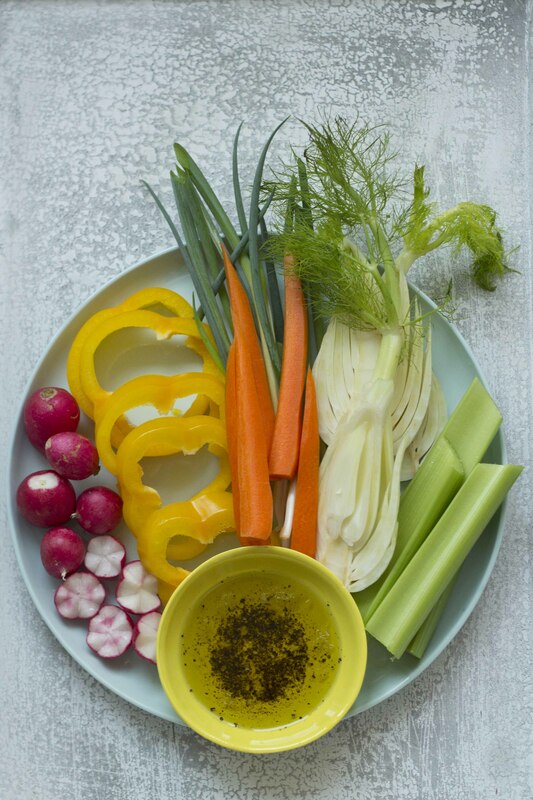 Place the sea salt and freshly ground black pepper on the table so each person can put a bit on their plate or mix into their olive oil to dip the vegetables in.